Visser’s revolutionary AutoStix strip planter is an efficient and speedy means to plant cuttings. The transplanter plants from the newly developed Visser Strips. Cuttings can be placed directly into the strips, or they can be bought pre-filled from some of the largest cutting producers in the world. The strips themselves are biodegradable and will degrade into the soil after planting. The strip can hold cuttings with a variety of stem diameters and continue to position them firmly and without damage to soft tissue. The strip is available in two types: one strip can hold 51 cuttings and the other can hold 34 cuttings. The system works best on 102 counts (either 51×2=102 or 34×3=102). Cuttings are shipped at high density while still maintaining enough air space for each individual stem. This is due to the design of the strip and enhances quality throughout the process. Once the strips are placed in the AutoStix transplanter the machine will cut off each cell and plant it into the new plug, pot or tray. The Visser AutoStix system can even transplant larger leafy plants without damage to the leaves like traditional grippers do. Not even the cutting device will touch the leaves. 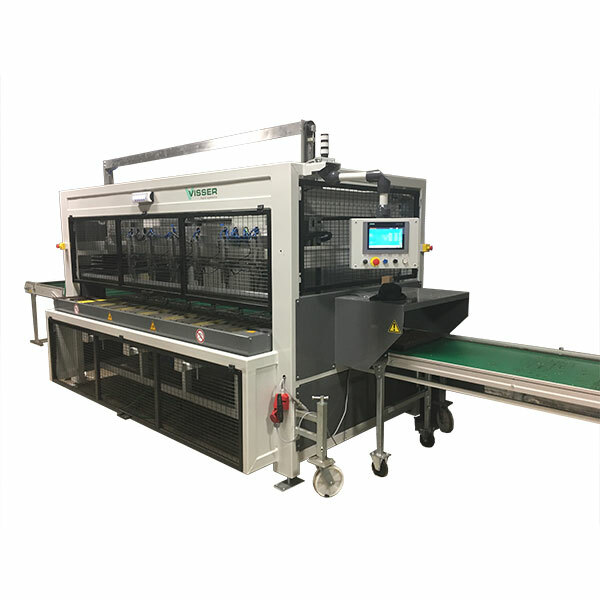 The Visser AutoStix System has several infeeds for the strips to maintain even greater efficiency, especially when switching in-between different runs. Alternately the machine can run both available strips, only by adjusting the settings on the user-friendly Siemens touch screen. 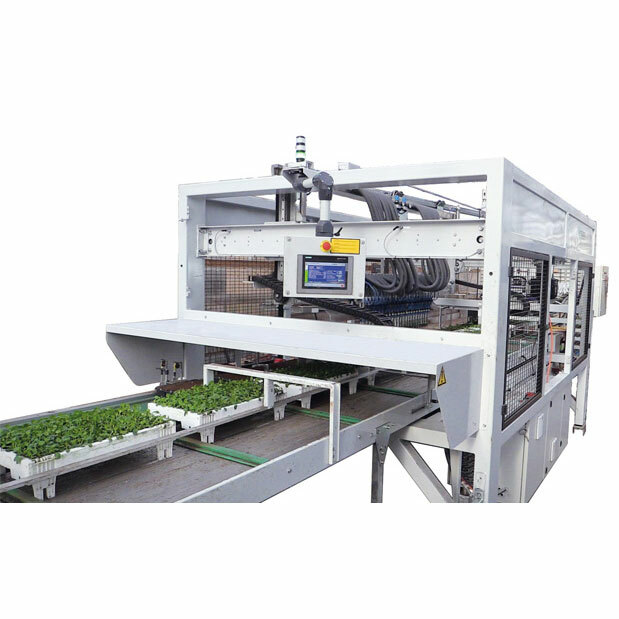 The production capacity can reach 11.000 cuttings per hour, per 6 head strip planter machine. 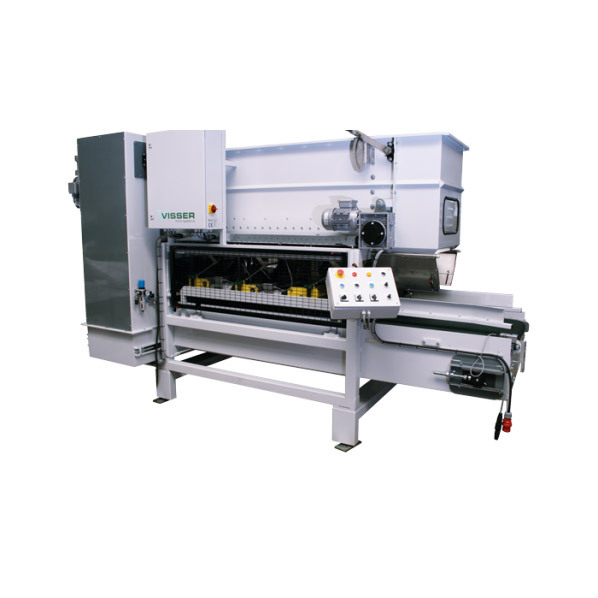 The machine can plant 3 different modules for mixed liners in a 50mm liner. For increased efficiency throughout the process, the machine can also automatically plant labels in the strip. For more information about the Visser AutoStix system, please speak with your Bellpark Horticulture sales representative or contact us. The AutoStix machine removes the challenge of finding and training a workforce to stick the cuttings at the rooting stations where seasonal staff is more difficult to find than in offshore locations. Due to the further standardized process less labor is required.